Custom and Cheap calcium silicon barium(Si-CaBa) inoculant /Ferro Silicon Supplier and Manufacturer.--Anyang Jinfang Metallurgy Co., Ltd.
Anyang Jinfang Metallurgy Co., Ltd. 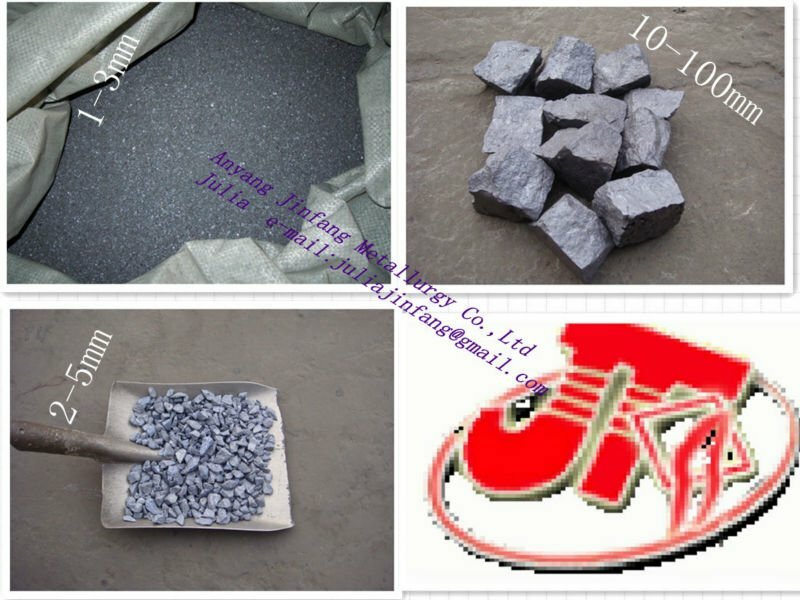 Custom and Cheap frromanganese,ferrosilicon,calcium silicon,ferrosilcon barium,core wire Supplier and Manufacturer. Anyang Jinfang metallurgy Co.,Ltd are professional manufacturer of Calcium Silicon Barium, Ferro Silicon Barium, Ferro Silicon Aluminum, Ferro Aluminum, Nitrided Ferro Manganese, Nitrided Ferro Chrome, Calcium Silicon, Ferro Silicon Magnesium Cored Wire, Calcium Silicon Cored Wire and so on. SiBaCa alloy is efficient composite alloy in Barium based alloys, it has a strong deoxidation and desulfurization effect as well as dephosphorize. During the steel making process, barium can effectively reduce the vapor pressure of calcium, increase solubility of calcium in the molten steel, which improve the efficiency of deoxidation and desulfurization and improve the stability of calcium. We are on line,plz feel free to contact us!